Another window, this time set into a log building. 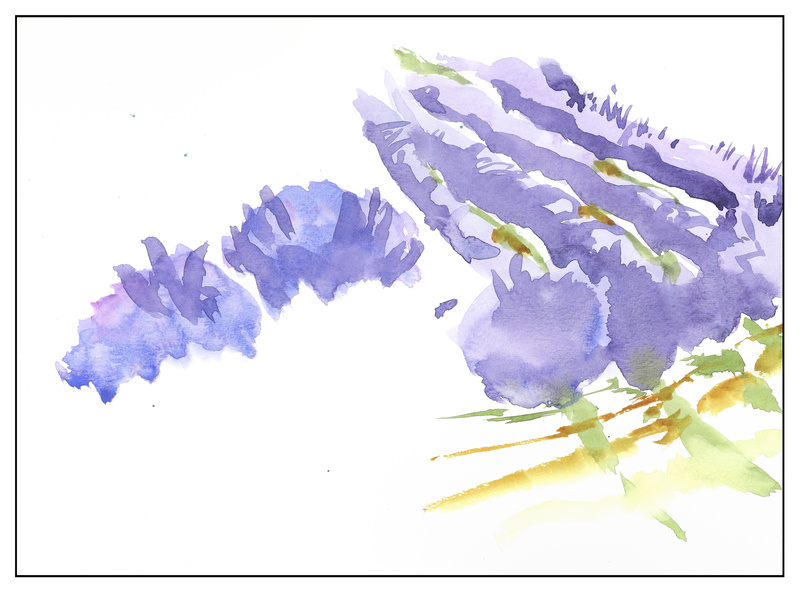 The logs were fun to paint – just broad swooshes with a brush, and then some detail. (I think I could use a few more wider dark swooshes in the upper 1/2 of the windows for the logs.) 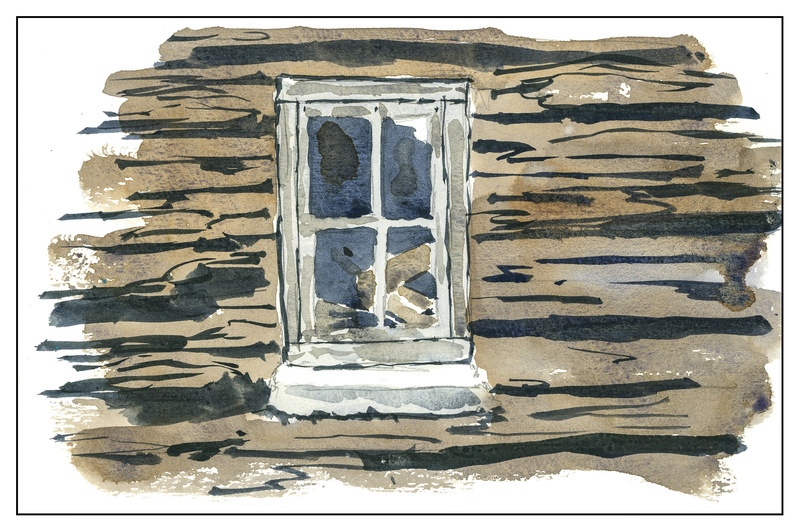 Here, as in yesterday’s painting, detail is important, but still needs simplification to express the window and the logs. Overall, I am rather pleased with this picture. 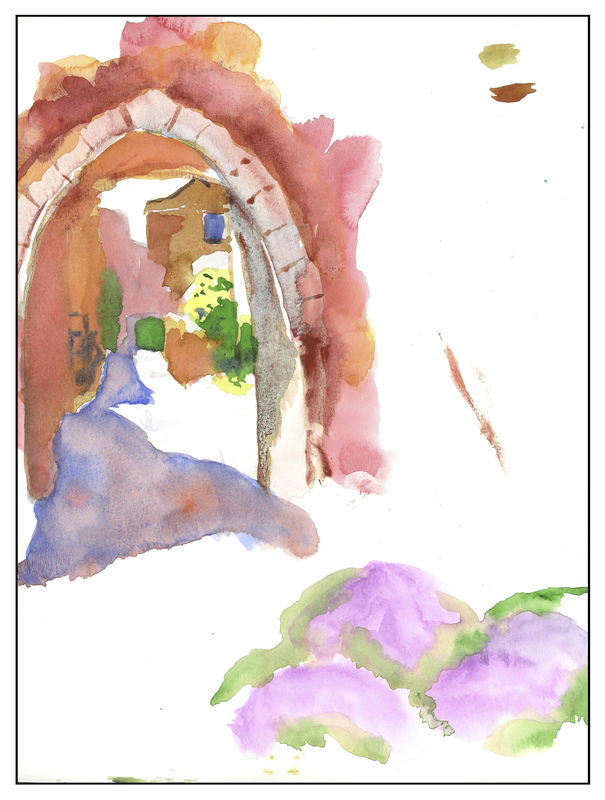 My palette was very limited – burnt umber, burnt sienna, and ultramarine blue. Oh, I threw in some zoisite (DS) because I love its granualtion! The other day I was trying to paint a something-or-other, and realized I had no idea how to paint something to suggest it, rather than give all the gory details. It may have been yesterday’s rocky cliffs. In particular, I started to think about buildings and windows. Stucco – brick – stone – how to express it without excess? I decided lets start with just windows. Here is one set deep into a stucco building. 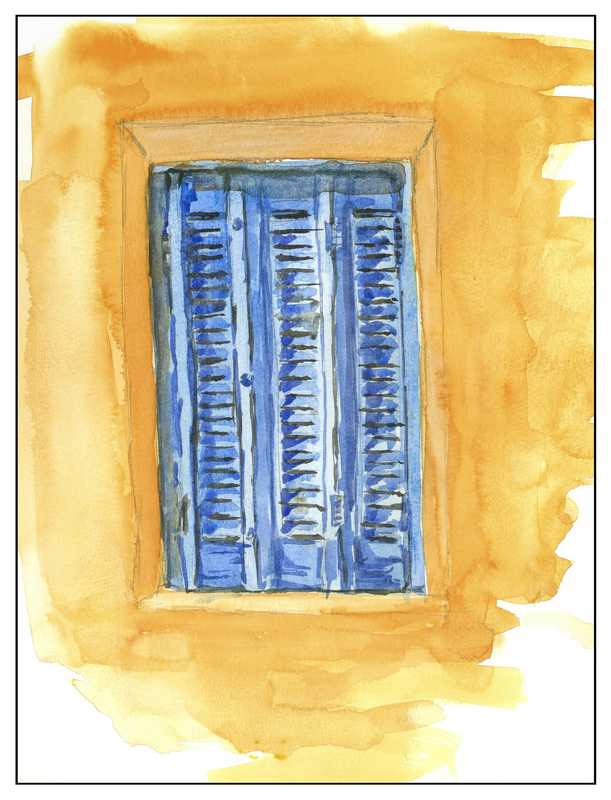 I had to look at the shutters, the shadows, the casement, the small details such as hinges and cracks in the wood, as well as the shadows between the louvers. I’ve taken photos for years and use different software to enhance the final results to express what I want. With this painting, I was not quite sure about the distant cliffs and the depth of color in the ocean. Too light? Darken? My instinct was that darkening both would make a better painting in the sense of contrast. Overall, I like the above painting – it looks pretty good. 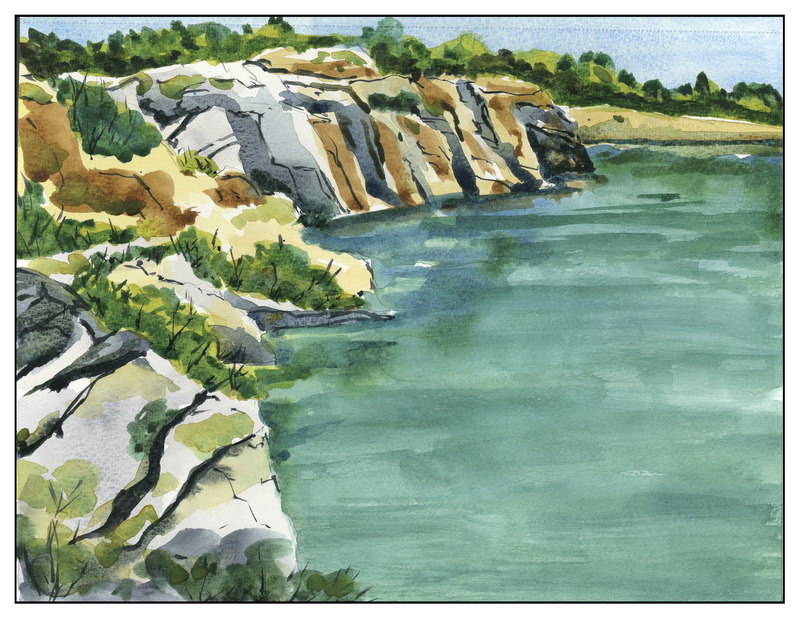 In the one below, I used a brush in Lightroom to darken the cliffs and the sea. I like the second choice better. 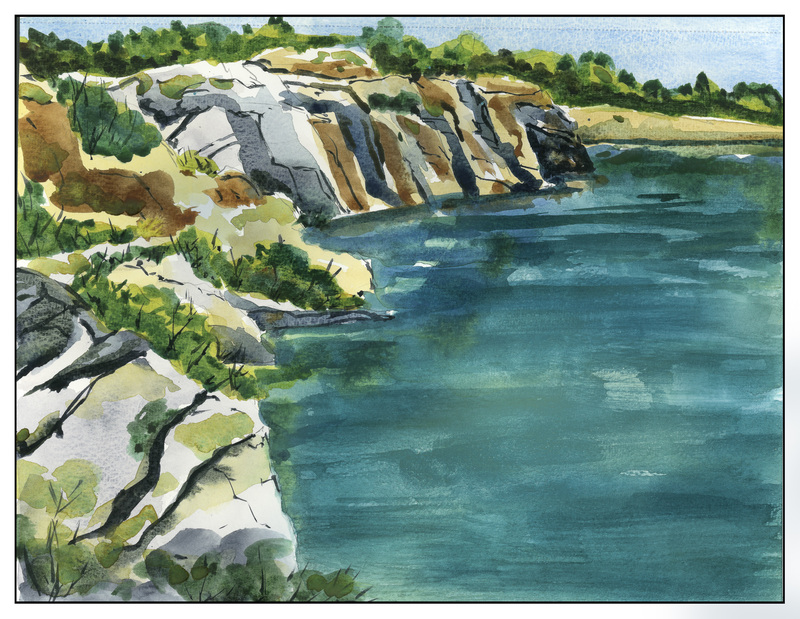 I haven’t painted over the cliffs or ocean to make them darker, but if I were to publish things, I could do some “post” in a digital format. If you look at the frame of the above image, you will see parts of it are darker, the result of using the LR brush. I wonder how many other artists do post-processing of their paintings. I have taken scans and turned them into black and white images to check contrast and value – so why not for making painting decisions as well? It’s all a learning process. Living in a “Mediterranean” climate means living in a dry, temperate climate. Locally, we have a number of olive orchards which produce local oils that are tasty and delicious. Here is a tribute to them. 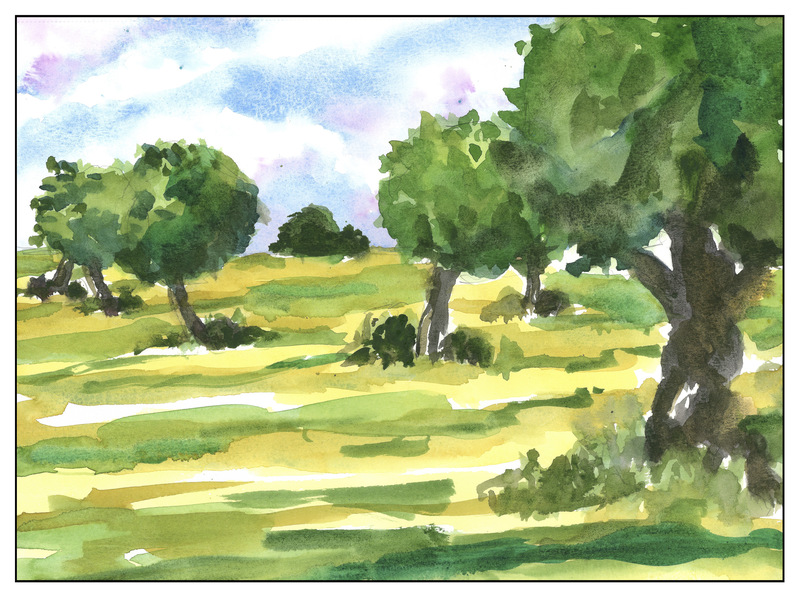 Besides commercial uses, olive trees are often used as decorative trees in one’s yard as they do require a lot of upkeep in terms of water – but the downside is a messy yard as the olives drop. 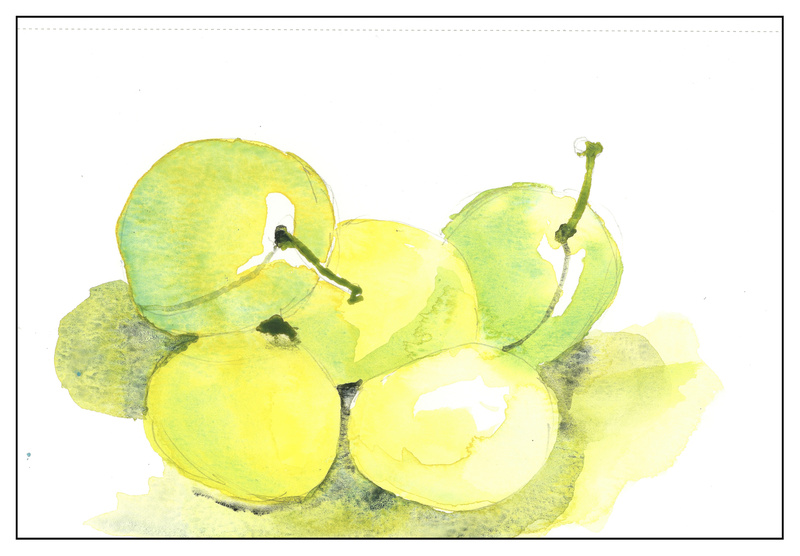 Most people never consider using the olive fruit for anything at all. I tried to simplify everything in this painting – trunks, field, crown of trees. At the same time, I tried to work on contrast and failed overall. It’s really a talent to get something dark enough on the first take! The trees on the left look like one in the foreground in overlapped by the leaves of the one further distant. And so on. However, getting out the paints every day is the goal, and practice, not making a “completed” painting is the whole point. 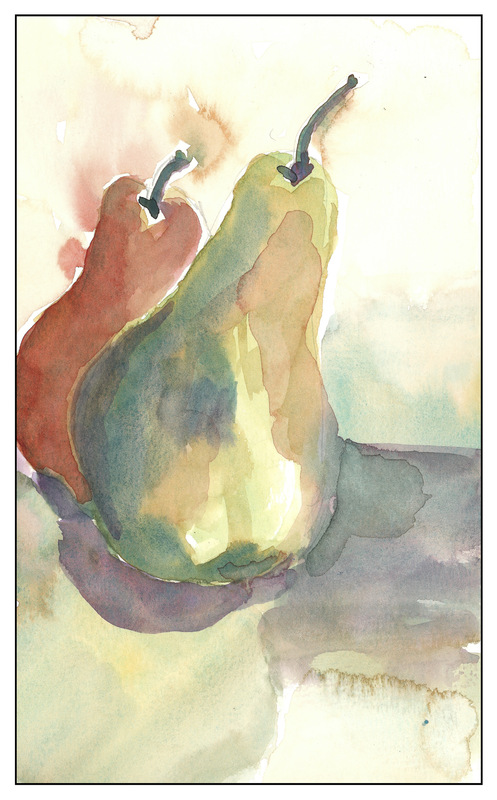 Plums are appearing in the markets, and they are great to eat out of hand and to paint. I used Hansa Yellow, Cobalt Teal, and this time, Lamp Black to see how it would work with the other two colors. No reds in this triad. In keeping with yesterday’s theme, more three-color studies. Here, again, Quin Gold and Cobalt Teal, but this time I used Quin Rose for the red. Fruit is the best as it doesn’t wiggle around, and you can eat it later!